There’s an upside to being well acquainted with your downer side. You get used to it, live with it, and sometimes you find you’re able to keep it under control. 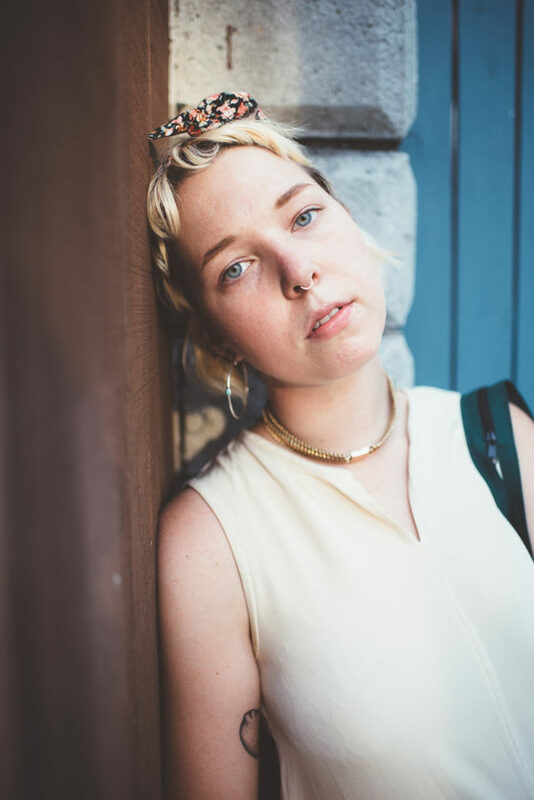 Such is apparent on Baltimore multi-instrumentalist Amanda Glasser’s first single, “Bed,” off her forthcoming debut album, Caelesti Radio. The song’s sadness is immediately stated in its hushed entry, everything slowly emerging from off in the distance until acoustic strums and quieted snare drum hits are in full blossom. It’s almost timid, the shy person at a party where they don’t know anyone, opening up after a few, and, my, do they have a story to get off their chest. Glasser’s firm and cautious voice tells of all sorts of troubles, simply in its tone, let alone the contents of the lyrics. There’s a clear hurt behind everything, manifesting itself in the haze and sludge of a fuzz pedal, flirting with the brink of total collapse, but never fully reaching it. It never overflows, it never bursts. She has the means and the materials (and the clear cause) for fury, but she refrains, constantly crescendoing and tapering off, letting go. It’s a most mature approach to melancholy.